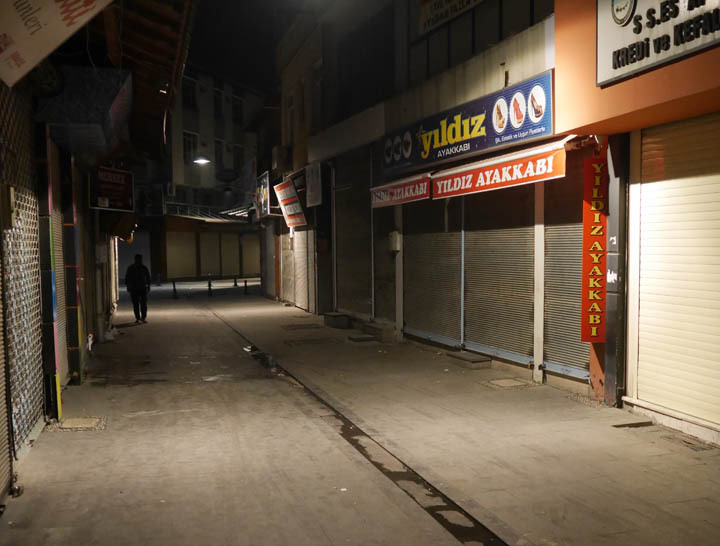 Gaziantep- It is being reported that four people have been killed in clashes between Turkish ethno-nationalists and Kurds here tonight according to CNN Turk. I was just outside the main government hospital while going to an all-night bakery and didn’t notice anything out of the ordinary. It’s shameful that the civil war in Syria is awakening ethnic tensions here. Earlier today I was talking to the receptionist at the hotel about how luckily there wasn’t a curfew here as had been imposed in other cities this week. That could change. 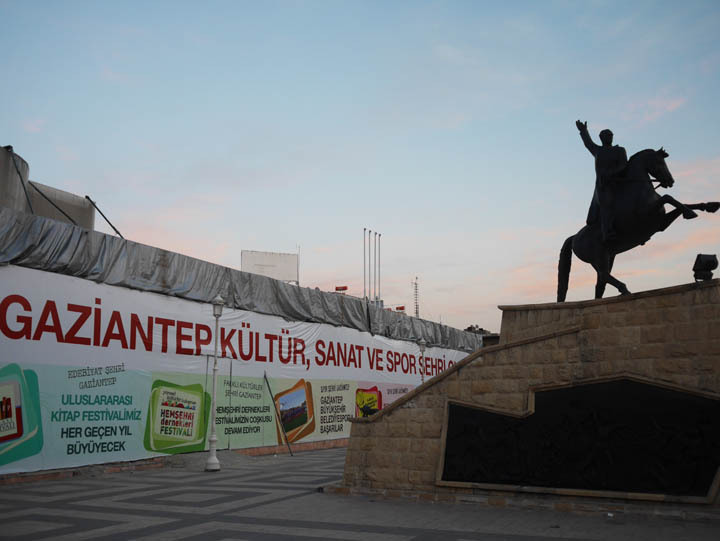 I arrived in Gaziantep in the middle of the night to make my way to the somewhat Orwellian media circus adjacent the siege of Kobane. 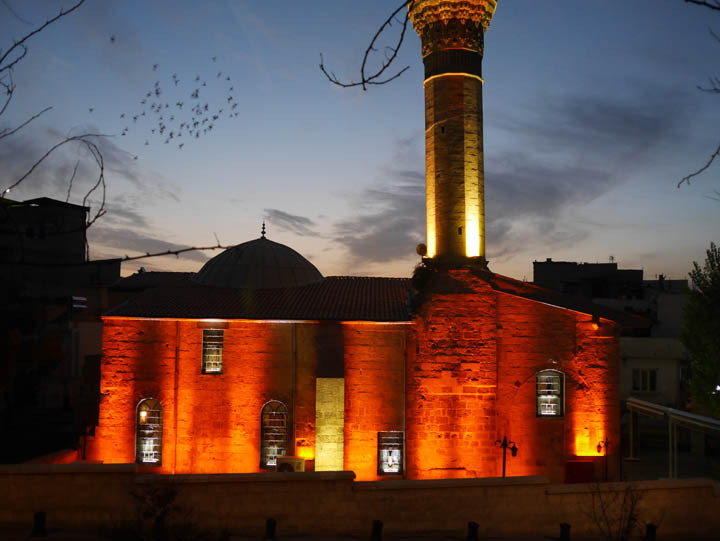 I assumed most journos are basing themselves in Sanliurfa though I met a French TV correspondent that was on my flight telling me she and her crew are staying here. The Kobane crisis is pathetic on so many levels. The YPG, the PYD’s military wing has their backs against the wall with the wall being a barbed wire border fence backed by Turkish tanks. Turkey refuses to step in a rescue the PKK-aligned YPG (or Syrian wing of the PKK if you prefer) because that would save a sister organization that the Turkish forces have formally been at war with on and off since 1984. After 30 years of guerrilla war in southeastern Anatolia, Ankara may prefer to let IS come right up to its border rather than help the enemy it knows. To the Turks, both movements are unpalatable and the only options were complicated highly politicized ones that suit their agenda for which those under siege in Kobane do not have time. Even if American aerial bombardments can stave off the IS advance as it purportedly brings in reinforcements from Raqqa, there is for the time being no way, at least that I know of, for the YPG to be resupplied with munitions, not to mention food and potable water.